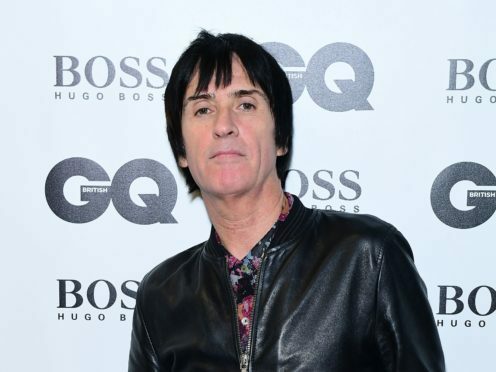 Johnny Marr has said he will never retire as he was honoured with a lifetime achievement award. The former Smiths guitarist said it would be a waste of his famous haircut if he were to call it a day in the music industry. Speaking after he was honoured at the GQ Men Of The Year Awards, he told the Press Association: “Hard luck everybody who wants me to retire. If you’re sick of seeing me, you’ll have to get used to me. Marr, 54, also offered advice to younger musicians, saying they should be spending time reading books and visiting art galleries. He said: “It was always my intention to have a life in music, at whatever level, even if I was playing in some covers band. “So it doesn’t surprise me that I’ve been a musician all my life and I obviously intended on being a musician come what may. But to be successful for a long time, I think a big part of it is working on keeping yourself interested in lots of different things because then you can bring it into your work. “In my case it was getting to do movies and try to be a better live performer, you have to keep yourself interested. Reflecting on his award, he said: “It’s great to get recognition for your work, I first went to an awards ceremony in about ‘83 or ‘84, something like that, and I was really young then and Ray Davies was getting and award. “I was standing in the audience and I was feeling an appreciation for, in this case, Ray Davies, so I take it in that kind of spirit.